Since the early 20th century the world has seen an amazing growth of Israel in terms of demographics, infrastructure, land restoration and technology. The Jewish population has seen a staggering 7,400 percent increase, Israel now produces 95% of its own food requirements, Israel leads the world in many areas of technology, and Israeli Jews take a disproportionate number of Nobel prizes. Why such success? What is special about Israel? An Ethnic Mix: At the beginning of the 19th century there were fewer than 5,000 Jews in Palestine. By the early 20th century the land of Israel (Palestine) was a mix of many peoples representing some 50 languages [1911 Encyclopedia Britannica]. 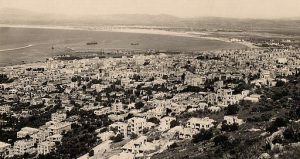 The historian Richard Hartmann comments that prior to the creation of Israel in 1948 these communities were “ethnologically a chaos of all the possible human combinations”, and so did not share a common Arab identity. They included Balkans, Greeks, Syrians, Egyptians, Turks, Armenians, Italians, Persians, Kurds, Germans, Afghans, Bosnians, Sudanese, Algerians, and of course, Jews. According to Professor Bernard Lewis, the land was not a “country” and had no frontiers, only administrative boundaries. The Arab population, which had remained dormant for centuries, began to blossom only after the beginning of Jewish immigration and the subsequent improvements in economic conditions, infrastructure, and agricultural techniques, link. The history of modern Israel began in the 1880s when the first Zionist immigrants came to Palestine. They joined the small existing Jewish community, establishing agricultural settlements and some industry, restoring Hebrew as the spoken national language, and creating new economic and social institutions. It is interesting to note that Tel Aviv, now the business hub of Israel, was founded on land purchased from Bedouins, north of the existing city of Jaffa. 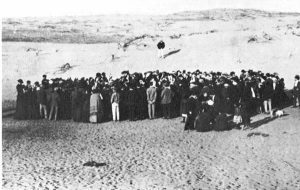 The photo shows the 1909 auction of the first lots of land. In the period from 1922 to 1947 real net domestic product (NDP) of the Jewish sector grew at an average rate of over 13%, link. AIRPORTS: Ben Gurion International Airport was built mainly for military purposes in 1936 during the British Mandate for Palestine, and the first civilian transatlantic route (New York City to Tel Aviv) was inaugurated in 1946. Today, Ben Gurion Airport is Israel’s largest air terminal for international flights and is considered the main air gateway to the country. It has been extensively enlarged with new state-of-the art terminals. Ovda is another airport also used for international flights. ROADS: In recent years Israel’s road network has been extensively expanded and improved to accommodate the rapid increase in traffic. The new Trans-Israel Highway (Route 6) is a multilane highway transversing Israel from north to south. It is entirely within the 1948 armistice lines (the ‘Green Line’) and bypasses heavily populated areas to provide fast access to most areas of the country. Route 6 will feed a network of highways and bypass roads, so connecting Israel’s peripheral regions to its center and boosting economic growth. Is Route 6 seen in Bible prophecy for a future Israel? WATER SUPPLIES: The National Water Carrier (NWC) was started in 1959 and became Israel’s traditional water ‘artery’. It conveys water from Lake Galilee southwards via a system of giant pipes, open canals and tunnels. Between 2005 and 2015 Israel built five desalination plants on the Mediterranean coast, and a New National Carrier system is planned to connect these to the NWC, link. Desalinated water will flow from west to the north, east, and south. Today some 80% of domestic water in Israeli cities comes from desalinated water, link. COMMUNICATIONS: In terms of electronic communications, Israel is connected to the world’s major commercial and financial data networks through underwater fiber-optic lines and satellite links. The country ranks high, on a per-capita basis, in telephone lines, computers, and Internet users, and it has one of the world’s highest cellular phone penetration rates. Tel Aviv was founded in 1909 after Jews decided to leave their poverty infested, squalor stricken neighborhoods in a nearby town. 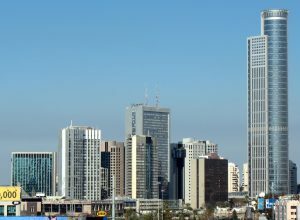 Today, Tel Aviv is Israel’s financial and business capital with an estimated 53,000 businesses operating in the city in 2014, link. 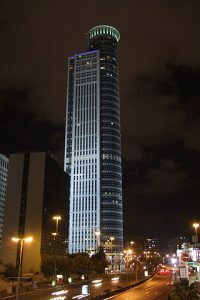 Nearby, in Ramat Gan, is the world’s largest diamond exchange and Israel’s tallest skyscraper. The 1922 British Mandate for Palestine encouraged the establishment of some of the country’s largest factories during the 1920’s, and textile factories were established in the 1930’s. Capital and technical expertise were supplied by Jewish professionals from Europe. Israeli industry underwent rapid development during World War II, and after the war overseas aid from several sources enabled Israel to become economically self-sufficient. Israel’s strong commitment to development led to economic growth rates that exceeded 10% annually, and by the late 1960’s textiles were one of the largest industrial branches in Israel, second only to the foodstuff industry. Rapid economic growth (nearly 10 percent per-capita) occurred in the six years following the Six Day War (1967-1973). Some attribute this to the so-called ‘occupation’ of Palestinian land from 1967, link. During these years Jewish mega-neighborhoods sprouted around Jerusalem. 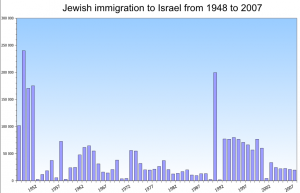 The latter half of the twentieth century saw Israel’s economy suffer from war and severe inflation, only the recover due to skilled immigration and several peace processes. The early 21st century again saw an economic down-turn due to the global dot-com bubble, which bankrupted many start-up companies. Today, the main driver of Israel’s economy is the science and technology sector, and there has been an unprecedented inflow of foreign investment into Israel as companies take advantage of Israel’s skilled workforce. Modern Israel has been described as an “economic miracle” since it has consistently had more companies listed on NASDAQ than all of Europe combined, and consistently scores as one of the top countries for patents per capita, see Venture Capital. The fastest growth rates (typically 8%) are to be found in the hi-tech sectors, which accounted for some 70% of the industrial product in 2006. In 2016 the GDP growth rate for Israel was 4.1% compared to just 1.8% for the UK [World Bank]. In the early 1990’s the total trade volume was $50 million, compared to $11.35 billion in 2017 [Times of Israel]. Government debt as a percent of GDP is used by investors as a measure of a country’s economic health, and compared to many western countries Israel’s gross debt as a percentage of GDP is low. There has been steady improvement from 94% in 2005 to 67% in 2014. Compare this with the UK debt of 41% in 2005 increasing to 91% in 2014. It is claimed that since 2001 Israel has become a net lender nation in terms of net external debt, and that the country maintained a current account surplus in 2010! A country’s strength depends upon its economy. So Israel aspires to become the world’s 15th largest economy by 2025 [Economy and Industry Minister Eli Cohen. 2017]. Since the 1990’s, Israeli industry has been benefiting the world. It started with Intel chips, Windows and laptops. Today, world class companies such as Intel, Google, Apple, Samsung, GE, Philips and Siemens have moved their R&D efforts to Israel because of the talent and ingenuity available, and because of their acquisition of Israeli startup companies. In fact, Israel now has the highest density of start-up companies in the world and ranks first in the world for total expenditure on R&D. The result is that Israeli software products are widely found in the financial and public sectors, healthcare, telecommunications, defense and manufacturing. Cyber-security is big business in Israel, and Israel’s software exports have risen from $90 million in the 1990’s to over $3.6 billion today. 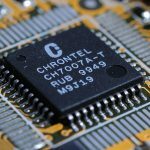 Reasons for Israel’s technological success: This can be attributed, in part, to heavy R&D investment and the fact that Israel has the highest ratio of university degrees to the population in the world. But is there another reason? Why for instance do most Jews have relatively high intelligence? A Jewish average IQ of 115 is approximately 40% higher than the global average IQ of 79, Ashkenazi Jews, link. And why between 1901 and 2014, did Israel’s Nobel Prize winners account for 23% of all individual recipients worldwide when Israel has only 0.1% of the world population, link? Is this because of their biblical heritage? Over half of Israel’s saline soil is arid or semi-arid (only 20% is arable). So around 1900, in an effort to combat desertification, Israel’s new immigrants embarked upon an extensive program of afforestation. As a result, since 1900 some 250 million sub-tropical trees have been planted in all regions of Israel, from the Golan and Galilee in the north to the Negev in the south, link. 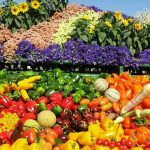 Israel’s agriculture has struggled against such adverse land conditions, but since Israel’s establishment in 1948, the country has almost tripled the territory used for farming, and production has multiplied 16 times, link. Today, Israel manages to produce 95% of her own food requirements. Some 40% of these crops are grown in the Negev (a desert area) by exploiting its underground supply of brackish (slightly salty) water and using Israeli advanced drip irrigation systems. Strictly speaking, today’s Jews are those who follow Judaism and who are descendants of the kingdom of Judah. But today the word ‘Jew’ is used to refer to all of the physical and spiritual descendants of Jacob/Israel; talk of the Jews and you are talking about the nation Israel. Isn’t it amazing that the nation Israel has survived for over 3,000 years despite world-wide persecution and some 2,500 years of exile from their God-given land? When King Louis XIV of France (1643-1715) asked Blaise Pascal, the great Christian philosopher to give him proof of God, Pascal answered, ‘Why the Jews, your Majesty, the Jews!’ The fact that the Jews have survived points to their unique role in the world. 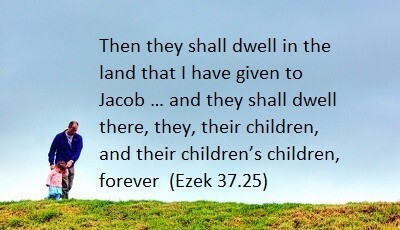 Summarizing: The Jew and the nation of Israel is the servant of God and His chosen witness of Himself to the nations. Look at the history and future of Israel and you can find the one true God – the One who calls Himself “the God of Israel”. In the Millennial age, Christ will rule the earth from a new temple in Jerusalem. Only some 0.2% of the world’s inhabitants are Jews. Yet, despite this, the Bible says that the future of the world depends principally upon the tiny nation of Israel and that one day all Gentile nations will honour the Jews. The outworking of Bible prophecy is clear, even to those who hate Israel. 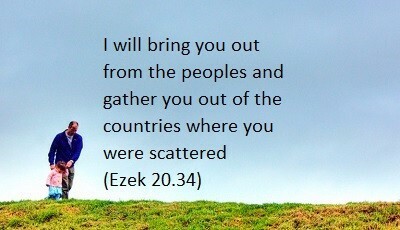 In just 130 years God has gathered many of His people from out of the nations and established them in their homeland. But as of 2015, the world Jewish population was 14.2 million, of which only 6.2 million (44%) resided in Israel. What about those still dispersed amongst the nations? Prophecy implies that virtually all those dispersed among the nations will return to the Promised Land; God leaves “none of them there any longer” (Ezek 39.28). So it seems that aliyah is not yet complete. But when it is – what then? So we might ask “Are the Jews especially academically gifted?” or “Why are Jews taking a disproportionate number of Nobel prizes?” To try and answer these questions we need to look at Jewish subcultures. Not all religious Jews are the same! In particular, Ashkenazic and Sephardic Jews represent two distinct subcultures of Judaism. According to the Hebrew University of Jerusalem, about 80% of Jews worldwide are Ashkenazi Jews, link. Ashkenazic Jews are the Jews of France, Germany, and Eastern Europe and their descendants, whilst Sephardic Jews are the Jews of Spain, Portugal, North Africa and the Middle East and their descendants. Most American Jews today are Ashkenazim. In Israel itself it is claimed that it is the Israeli Ashkenazi Jews that the world sees in terms of Israel’s cultural, intellectual, political, and economic activity, link. In 2014 the Jewish People Policy Institute (JPPI) presented the Israeli Government with recommendations on the genetic testing for ‘Jewishness’ of potential immigrants. Molecular genetic tests can now be used to measure individuals’ whole genomes, and scientific research has begun to describe the genetic basis for a common ancestry of the whole of the Jewish population. Geneticists claim that Jews exhibit a distinctive genetic signature and as such can be defined as a ‘race’ (a people group with distinct biological traits). This is supported by genetic research from the Albert Einstein College of Medicine. They suggest that the Ashkenazi bloodline branched away from other Jewish groups in Israel 2,500 years ago and that 40% of them are descended from only four Jewish mothers, link, link. Eugenics is the (rather dubious) science of improving a population by controlled breeding. The eugenic hypothesis argues that Jews, and in particular, Ashkenazi Jews, have actually practiced eugenics. 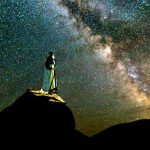 Judaism has had a long tradition of according high status to scholars as well as wealth which allowed those with higher intelligence to more easily reproduce and their children to survive. link. 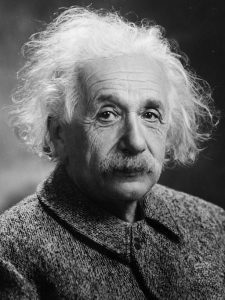 For whatever the reason, be it through genetics, eugenics, their prevalence in intellectually demanding fields (resulting in Nobel prizes), or a combination of all three, the fact remains that Ashkenazi Jews have high intelligence. 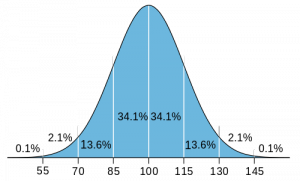 Research shows that on many measures they are top of the IQ chart; their average IQ has been measured at 108-115. A Jewish average IQ of 115 is approximately 40% higher than the global average IQ of 79, link. By comparison, the mean IQ in the UK is 100, link. Note that this is average IQ. It turns out that Ashkenazi “visual-spatial” test scores are typically lower than the norm, which means their abilities in the other two categories, language and mathematics, are astounding, link. 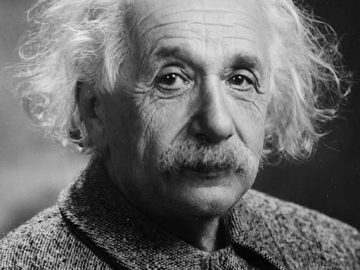 Whilst there was no absolute measure, some have suggested that Albert Einstein, an Ashkenazi Jew, had an IQ around 160 or more! It seems that Adam could name all the birds and beasts. Could any individual do this today? Then came the historic events of ‘The Fall’ of man and ‘The Flood’, both of which appear to have affected the longevity of man and his intelligence. We note that Pre-Flood man lived typically to 900 years whilst post-Flood, beginning with ‘Shem’ (Gen 11), man’s age progressively dropped to nearer 70 years. Why? Some claim this decline in longevity arose from a build-up of radioisotopes in the atmosphere after the Flood, link, link. Also, it is claimed that the ‘dumbing-down’ of the human brain over the past few thousand years could be due to accumulated genetic mutations, link. On the other hand, Genesis implies that it is possible for man to have a high intellect – very high – if it is God’s Will. So why not God’s chosen people who are descendants of Adam, link? Aliyah means “going-up” (to Jerusalem). Jews see it as “going up to holiness”. In just 100 years the Jewish population of Israel has risen an amazing 7,700 percent. Why? It is a fulfillment of prophecies which say that God will take His people from all the nations and bring them back into their own land (as promised to Abraham). Today, organizations like The Jewish Agency and WZO help returning Jews get installed in Israel. All new immigrants also learn Hebrew to help them integrate into Israeli society. 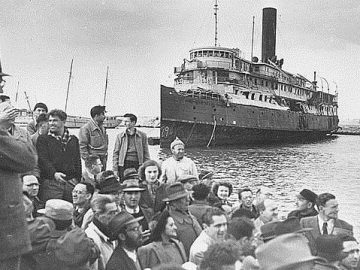 The Palmach, Immigration to Israel, PikiWiki. Let’s look at the facts: the population growth of Palestine-Israel is striking. In 1915 there were just 83,000 Jews but this increased to nearly 6.5 million Jews in 2017, link, corresponding to an amazing 7700% increase! In comparison, over the same period the UK population increased just 55%. By 2017 Israel’s population stood at a record 8,680,000. This is a 10-fold increase compared to when Israel was founded in 1948. Jews are coming from all over the world, from wherever they have been scattered amongst the nations. The first wave of immigration started in 1882 and particularly involved Jews from Russia and Romania. By 2008 the number of Jews living in Israel was more than any other country since the year 70 AD. In historical terms, aliyah is a relatively recent phenomenon. It’s as though Ezekiel’s prophecy has just been implemented after lying dormant for thousands of years! Since the end of the 19th century there have been a number of waves of immigration, often initiated by severe political and social unrest. Most of the early immigrants to Israel-Palestine were young halutzim (pioneers), who built roads and towns and commenced the draining of marshes. Their ideology contributed a great deal to the reconstruction of Israel. The so-called “first aliyah” (1882 to 1903) was a wave of about 30,000 Zionist immigrations mostly from Eastern Europe, Russia and the Yemen. Another wave of about 40,000 Jews came between 1919 and 1923. This was triggered by the 1917 October Revolution in Russia, anti-Semitic pogroms in Eastern Europe, the British occupation of Palestine, and the 1917 Balfour Declaration. 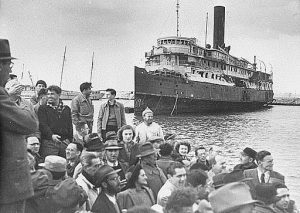 Between 1929 and 1939 some 225,000 to 300,000 Jews arrived from Europe and Asia. This wave of immigration began as a pioneering one, but with the onset of racial persecution in Nazi Germany attained the character of a mass migration between 1933 and 1939. 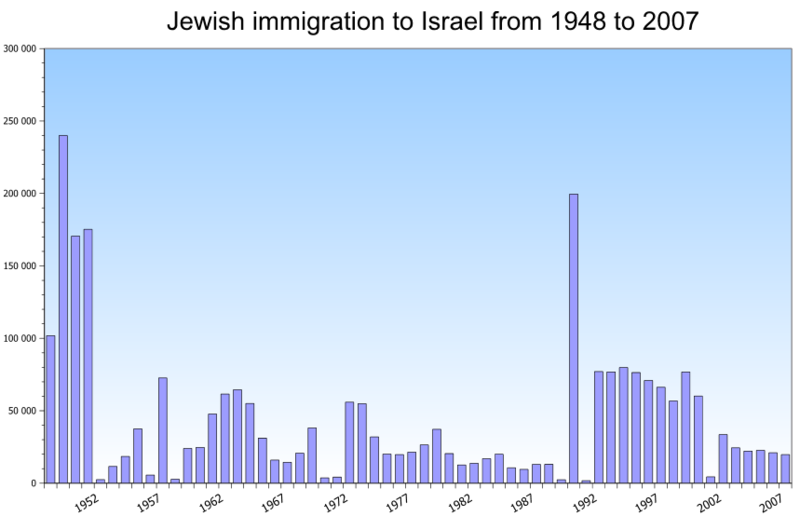 A major wave of immigration occurred after the declaration of the State of Israel in 1948 (see graph). So the late 1940’s and early 1950’s saw large-scale waves of immigration from Arab countries primarily from Iraq, Yemen and Libya. Some 260,000 Jews immigrated despite the necessity of leaving their property behind, link. The immigration of Jews to Israel (Hebrew: Eretz) from all over the world is widely known as “aliyah”. This Hebrew word translates as “elevation”, “ascent” or “going up.” It refers to going up to Jerusalem. It is true that Jerusalem is located on a plateau in the Judean Mountains at an altitude of 760m (2,490 ft), but that is not the primary meaning here. When Jesus (Yeshua) talked about “going up to Jerusalem” (Lk 18.31) He was referring to deeper things than hill-climbing! Who has the Right to Settle in Israel? On 5 July 1950, the Knesset (Israel’s parliament) passed the Law of Return. Subject to certain security conditions, this Law gave every Jew in the world the right to go and settle in Israel as an ‘oleh’ (a person who makes aliyah: pl. 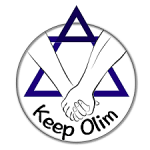 olim). The Law of Return was amended in 1970 to clarify the term “Jew” and the application of the Law to family members. In particular, for the purpose of this Law, “Jew” means a person who was born of a Jewish mother (the father can be a non-Jew) or has become converted to Judaism and who is not a member of another religion (see later). This Law opened up Israel to Jews from over 60 countries. DNA Test of Jewishness: In the future the Israeli State may use genetic tests (DNA) to determine whether potential immigrants are Jewish or not. This would demand a rethinking of the Law of Return regarding the definition of Jewishness, link. See also Defining a Jew. Citizenship: Under Israel’s Citizenship Law -1952, Israeli citizenship is granted by eligibility under the Law of Return (other routes to citizenship are possible). Israel does not have laws and regulations enabling foreigners to settle in Israel, link. So critics argue that because the Law of Return favors Jews, then it is undemocratic and discriminatory. They argue that Israel should grant a similar right of return to Palestinian refugees who wish to return to their homes in Israel prior to the 1948 war. But, according to Article 5 of the 1922 League of Nations Mandate for Palestine, link, the territory of Palestine was exclusively assigned for the Jewish National Home. So the bestowal of a “right of return” to non-Jews or to persons without a Jewish relative is illogical and contradicts the concept of the Jewish State. 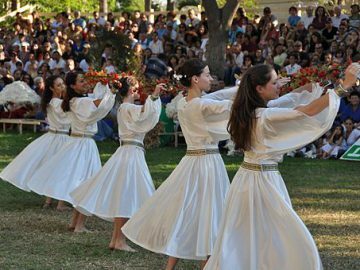 In 1989 the Supreme Court of Israel ruled that Messianic Judaism constituted another religion, and that people who had become Messianic Jews were not therefore eligible for Aliyah. As of 2015 it is claimed that this ruling still holds and that Jews who seek to make aliyah are forced to answer the question, “Have you ever been a Messianic Jew or have you ever believed in Yeshua as Messiah?”. In defense of this ruling, some religious Jews claim that since Jewish followers of Yeshua are obligated to spread the gospel about Yeshua to other Jews, they are promoting worship of and allegiance to a false deity, link. On the other hand, a poll of Israeli Jews at the time of the 1989 amendment was in favour of Messianic Jews making aliyah. Rejection of Messianic Jews continues: In 2016 the chief rabbi of Ashdod claimed that Messianic Jews are “worse than Hitler”, whilst another rabbi called them “The Cult of the Messianic Jews”, link. Operation Magic Carpet: One of the first major projects of the first prime minister of the State of Israel, David Ben Gurion, was an incredible operation called “Operation Magic Carpet.” This occurred between June 1949 and September 1950 and brought 49,000 Yemenite Jews to the newly founded State of Israel. The returning Jews were airlifted to Israel by British and American transport planes that made some 380 flights. It was a secret operation that was not made public until several months after it was over. Operation Moses (1984): Another covert operation – this time the evacuation of Ethiopian Jews from Sudan during a civil war that caused a famine. Sudan secretly allowed Israel to begin transporting refugees, until word leaked out and the operation was suspended for fear of hostile reaction from Arab states. 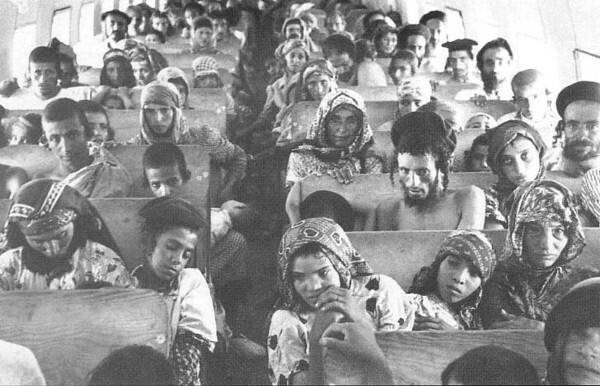 By mid-1984 some 8,000 Jews had been flown from Khartoum [Sudan] to Europe and from there to Israel. Operation Solomon (1991): Later, mass immigration included Jews from Ethiopia and Russia. About 14,000 Ethiopian Jews were brought to Israel in the “Operation Solomon” air-lift in 1991, and about 100,000 Jews came to Israel from the countries of the former Soviet Union, link. More recently, a tribe called the Bnei Menashe in India has maintained their Jewish roots and believe they belong to the lost 10 tribes. In 2014 some 7,000 returned to their ancient homeland. This short video encourages, uplifts and inspires people to visit God’s land and people, Israel. It may also encourage some to make aliyah to Israel and make a new life there. Between 1989 and 2010, more than 1 million Jews from the former Soviet Union (FSU) made their home in Israel, but there are still many to aliyah. In 2013 the estimated Jewish Population of the FSU totaled 1.71 million, of which there were 600,000 in Russia itself, link. As of 2015, there were still 1.4 million Jews in Europe despite a sharp decline over recent decades, link, and in 2013 there were still over 4 million practicing Jews in the US, link. Today, Zionist organizations like The Jewish Agency and WZO continue to oversee aliyah, immigration, settlement and education. This is Israel’s official network of organizations that help returning Jews get installed in Israel. In 2015 over 30,000 olim immigrated to Israel using the Jewish Agency services. Today, Israel is home to Jews from nearly 100 countries, each with their own culture and language. So how could such a diverse population be quickly integrated into one nation, especially since many olim come to Israel without a knowledge of Hebrew? The answer lies in the national language. Since the declaration of the Jewish State of Israel in 1948, Hebrew has been an official language of Israel. In 1916, only some 40% of the Jewish population spoke Hebrew, but today Hebrew is spoken by some 90% of those who who arrived before 1989, link, link. It is used throughout society, in schools, universities, commerce, government and the media. In fact, the restoration of biblical Hebrew to a modern day spoken language is a unique historical phenomenon, link – a modern miracle. So the rapid integration of diverse cultures is achieved by requesting that all new immigrants learn Hebrew. The is achieved through absorption centers and by following intensive Hebrew Language Programs run by The Jewish Agency, like Ulpan, link. Ulpan is designed to teach adult immigrants the basic language skills of conversation, writing and comprehension, with the objective of helping new citizens to be integrated as quickly and as easily as possible into the social, cultural and economic life of their new country. New immigrants and returning citizens of Israel from all over the world can find support (such as career counselling and free legal aid) from organizations like KeepOlim. Several Christian organizations are helping Jews return to their homeland. One such group is Ebenezer Operation Exodus. This UK-based international, interdenominational Christian organization has helped organize transport by sea and air to Israel for more than 140,000 Jewish people sponsored by The Jewish Agency. Many of these came from the Former Soviet Union. A Jerusalem-based Christian organization, Bridges for Peace, runs Project Rescue and Project Tikvah. Project Rescue helps the poorest Jews prepare to immigrate to Israel, and Project Tikvah helps sustain those who cannot go, the elderly and the sick. Help is in the form of passport costs, visas, ground transportation and lodging. The work started in Russia and regions of the Former Soviet Union. 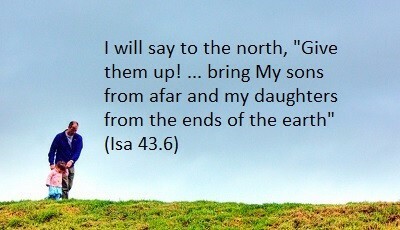 Just as a father leads his little child, so God is leading His people back to Israel. For a time rebellious Israel was forsaken by God and they were scattered (like dry bones) amongst the nations. 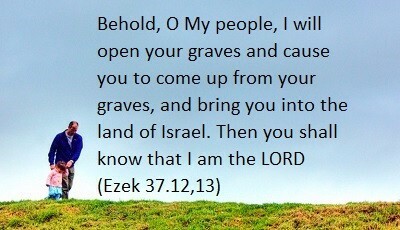 But Ezekiel the prophet saw a valley of dry bones that became alive as God brought His people back to their own land. 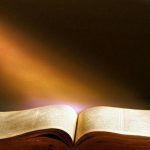 Read an unbiased view of Israel – straight from the Bible! The university world has opposing views on Israel. The political world has opposing views on Israel. Who is correct? Where is the truth? Do they ever study Israel in the Bible? 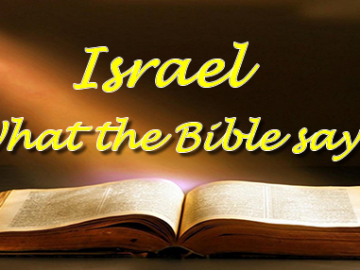 Let’s extract from the Bible some important facts about Israel, both the nation and the land. And let’s present the biblical text without any particular prophetic interpretation. Simply let the Spirit of God, the Spirit of truth interpret the texts to our hearts. Taken together, the Spirit will interpret the texts to reveal the big picture and the truth about Israel. 7: Israel Scattered: God warned Israel that if she failed to keep His commandments and statutes (the Law) then she would not receive His blessings. Instead, the people of Israel would be scattered amongst all the nations (Deut 28.15-68). This happened (the “diaspora”). 1: The world has already been blessed through Abraham. Jesus was also a Jew and came to reconcile mankind to God. 2: The twelve tribes of Israel went out of Egypt to live in Canaan. 5: The nation Israel has already been a strong witness for God. Recall how God showed His might through Pharaoh and the Exodus, and through the giving of the Ten Commandments to Moses. 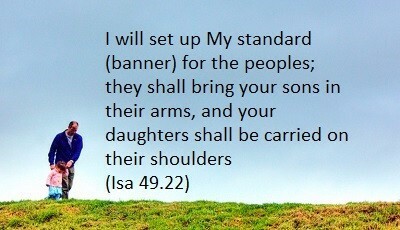 7: God honoured His word when He said that He would scatter Israel if they failed to follow His commandments. From 70 AD onwards the 12 tribes of Israel were scattered throughout the nations. 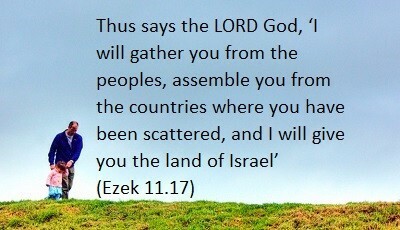 8 and 9: God is bringing His scattered people back to the land promised to them through Abraham. The Jewish population of Palestine has increase by over 7,400 percent since 1900. 11: Although Israel has only some 8.5 million people (2018) and is only the size of Wales, it is clear that Israel is now a major player on the world stage. 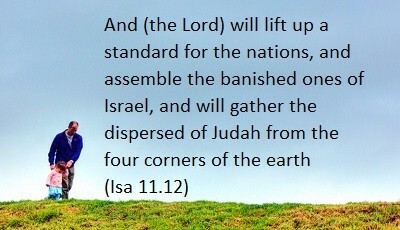 12: The land of Israel is already being replenished and blessed. Since 1900 almost 250 million sub-tropical trees have been planted in all regions of Israel, and today more than 40 percent of the country’s vegetables and field crops are grown in the Negev desert. 13: Jews have been persecuted worldwide. Russian Pogroms in the 19th century and the Holocaust are prime examples. Arab aggression against the Jews was seen in the 1948, 1967, 1973 wars. 14: Today it is not hard to see how Israel could suffer in the future. The UN does not support Israel. And Russia supports Iran which supports her proxy Hamas whose Charter aims to eliminate Israel. 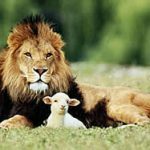 15: Today, the vast majority of Jews are still looking for their ‘Moshiach’ (Messiah) and they refuse to acknowledge Yeshua (Jesus) as their Messiah. Other biblical statements await future verification. But clearly, there is already strong verification of fundamental biblical statements on Israel. So if we are searching for the truth about Israel we need to read about Israel in the Bible. Doing this with an open mind gives a balanced view of the nation and land of Israel and helps to explain current events. Does the nation of Israel have a future and purpose under God, or has she been abandoned by God and ‘replaced’ by the church (as in Replacement Theology)? Today, is Israel returning to her own land (as promised to her under the Abrahamic Covenant) or has she unlawfully occupied Palestinian land (as maintained by the UN)?